for $2,699,000 with 6 bedrooms and 4 full baths, 1 half bath. 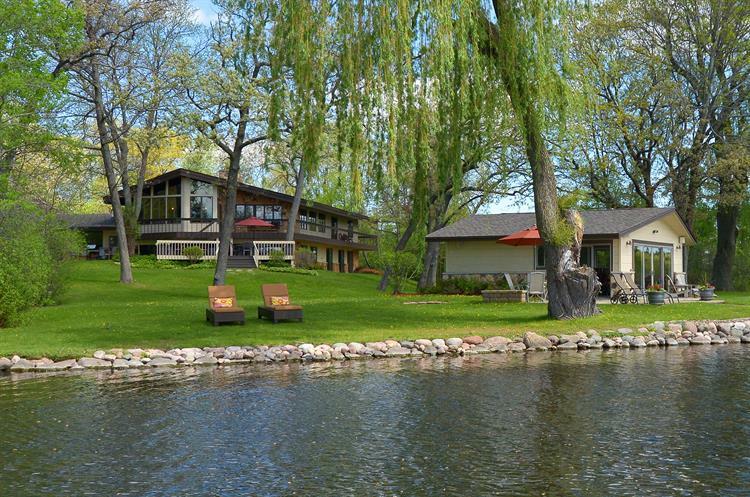 This 5,180 square foot home was built in 1977 on a lot size of 9.75 Acre(s). 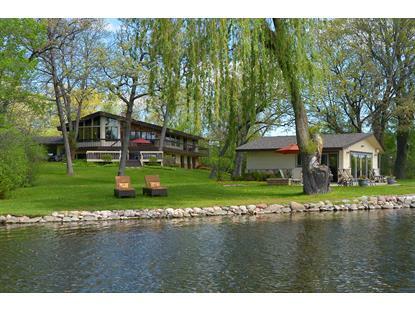 Private estate on Nagawicka Lake with over 9 acres & 800+ ft of shoreline! Contemporary home with 6 beds, 4.5 baths, hardwood floors, updated kitchen w/SS appliances, custom cabinetry & granite counters. 1st floor master suite w/walk-in shower, soaker tub, dual sinks. Vaulted & beamed ceilings throughout main level. Large sunroom off mainhouse gives gorgeous views of the lake. Boathouse has entertaining space, full kitchen & bath. Large sliding glass doors leading to Nagawicka Lake, yard, patio and BBQ area.